For your avid shooters, who like to be out on the range, the Sightmark Core Shot A-Spec FMF Reflex Sight, stimulates precision accuracy and reliability in high-stakes competition shooting and hunts of a lifetime. 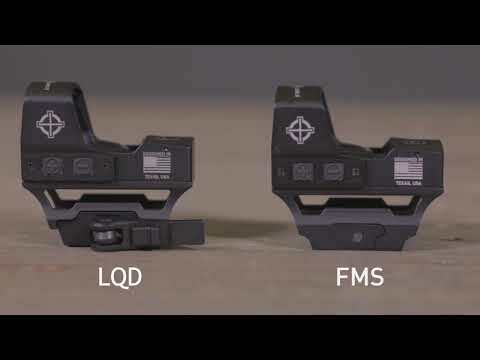 Designed to deliver elite optic performance, A-Spec FMS Reflex Sight guarantees precision for all recreational, professional and competitive environments. The Core Shot bridges the gap between the Mini Shot and Ultra Shot for all customers wanting a compact sight. It is made out of aircraft grade 6061-T6 aluminum, for a dependable compact lightweight housing. The sight includes windage and elevation click adjustments to dial in quickly and an external battery compartment for easier access to the battery. Includes a riser mount to work effectively on AR’s.